We have more than ten years of experience and over assembled over 10,000 in-car systems. We also offer an Service Level Agreement (SLA) to cover your equipment, so you will never incur any costs and are ensured of guaranteed response times. This guaranteed response time prevents downtime for you and your vehicles in case of a malfunction. We also closely cooperate with different installation stations. 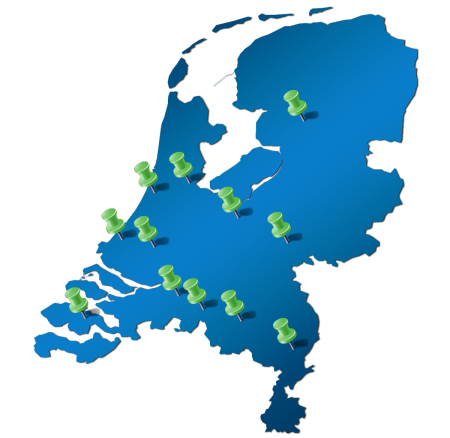 We have 12 locations in the Netherlands that you can revert to.